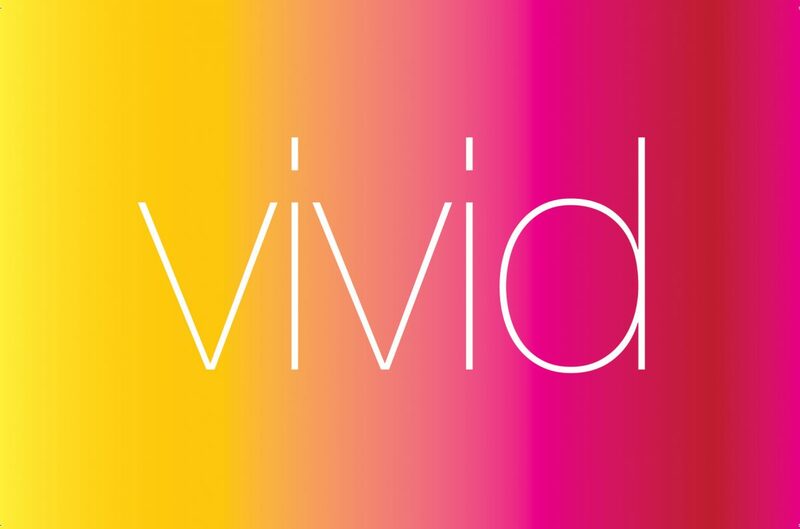 VIVID is an exhibition by Sue Beyer, Louise Blyton, Filomena Coppola, Rox De Luca and Ilona Nelson. Colour is often dismissed as having a purely decorative function. In this exhibition colour is used to describe cultural oppositions, emotional states, transformation, self censoring and the experience of place. The work presents a socially acceptable surface of creative expression, a thin veil which if penetrated reveal five individual her-stories. Stories, which are unique to the individual but shared in experience by many. In this exhibition, colour is a reflector which projects the experience and creates a space for immersion, conversation and reciprocity. Sue Beyer’s current work investigates the idea of Sehnsucht, a German word which means, ‘the soul’s longing for something impossible or unknown’ and the in-between. Referencing the movie Xanadu the works are created using computer programming, painting and social media to reflect the way we use social media to transform our boring everyday lives into something more interesting and exciting to present to the world. Beyer is presently an MFA research candidate at the VCA in Melbourne, supported through an Australian Government Research Training Program Scholarship. Louise Blyton is a reductive artist exploring the romance of raw linen and dry pigment. Her work is often in the form of shaped canvases or three dimensional wall sculptures. Experimenting with colour, light and form, she explores the fragility of beauty through subtle shifts of colour in layers. The structure of Blyton’s work appears strong and bold, yet it is fragile and reveals evidence of the hand and thus invites a quiet meditation between viewer and work. Blyton was born in Melbourne and graduated with a Bachelor of Fine Art at RMIT University in 1988. She has exhibited widely in numerous group exhibitions and has also curated group shows. She has had over 17 solo exhibitions, has lived and worked in France and England and held Residency at Redgate Studio in Beijing, China, Point B studio Williamsburg NYC USA, and Factory 49 Pop Up in Paris France. Her work is held in private collections in Australia, England, France, Portugal, China and the USA. Filomena Coppola’s work is a response to being born in the regional Victorian town of Mildura to Italian immigrants. Her work explores the complexities of duality and what it is to navigate a journey between two cultures. Her delicate pastels capture these moments of duality – of being a hybrid of Italian/Australian cultures. This is represented in her work through presence/absence, plant/animal, and internal/external. Coppola has exhibited widely over the past ten years and has been included in several drawing exhibitions including JADA Drawing Award, The Robert Jacks Drawing Award, the City of Banyule Drawing Award and The Hutchins Drawing Prize, where she was awarded a Judges Selection in 2001, and she was awarded The City of Hobart Art Prize in 1994. Filomena has been the recipient of several awards and residencies including Arts Victoria Development Grant 2013 (for Alpha Sound) and Regional Arts Victoria Project Funding in 2012 (for Mother Tongue). Ilona Nelson is a Melbourne based artist and curator. Nelson is interested in making work that encapsulates honesty and truth, and searches for these qualities within our paradoxes. She works predominately with photography but also incorporates installation, film and performance. Nelson is also the creator of a long term project called This Wild Song (TWS), which is a series of conceptual photographic portraits of Australian female visual artists who have a unique voice. TWS celebrates the artists through these portraits plus interviews, exhibitions and events. Rox De Luca is a visual artist based in Sydney, Australia. Rox De Luca’s recent works focus on the concepts of abundance, excess and waste; and are reflections on the plastic detritus she collects predominantly from Sydney’s iconic Bondi Beach. Sometimes plastics are accessed from other sources too—for example, tamper-proof aviation seals or the thread-like remnants left by the drilling process. De Luca received a Bachelor of Arts (Visual) from Canberra School of Art (1985) and a Graduate Diploma in Arts Administration, University of NSW (1988). De Luca’s solo and group exhibitions include the Museum of Sydney; Australian Maritime Museum; 24HR Art, Darwin Northern Territory; Fremantle Arts Centre, WA; Articulate Project Space; Bondi Beach Pavilion Gallery; aGOG, Canberra; James Dorahy Project Space Sydney; Eva Breuer Gallery Sydney; Five Walls Gallery, Melbourne, Tin Sheds Gallery, University of Sydney; First Draft Gallery, Sydney; Legge Gallery Sydney; and internationally in Madrid, Spain (where De Luca lived from 2007 – 2010). Commissions / Grants and Awards include Sculpture by the Sea (2013 & 2016), NSW Gallery Society Award, Finalist 2016 & 2017 Fisher’s Ghost Art Award Campbelltown Art Gallery, Finalist 2017 Ravenswood Womens Art Prize, Public Art Commission Cannington, WA (with Jo Darbyshire); Pat Corrigan Artist Grant; Artists on Norton 2000 Encouragement Award; Big Brotherhood Movement Travelling Scholarship.